Jerry focused on research and policy project development relating to public access to electronic government information and consumer interest in telecommunications infrastructure. With funding from the Benton and Bauman Foundations, he co-authored Electronic Public Information and the Public’s Right to Know with Hank Perrit, Villanova University. 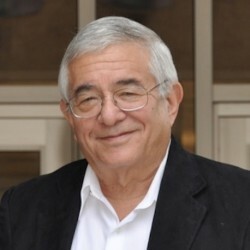 Jerry worked with civil liberties, right-to-know, and consumer groups to examine converging communications technologies to insure they are developed in ways consistent with the public interest policy goals of free speech, diversity and equity of access, protection of individual privacy, and equitable rates and charges. He went on to found the Center for Democracy and Technology in 1994 and is President of the Internet Education Foundation.